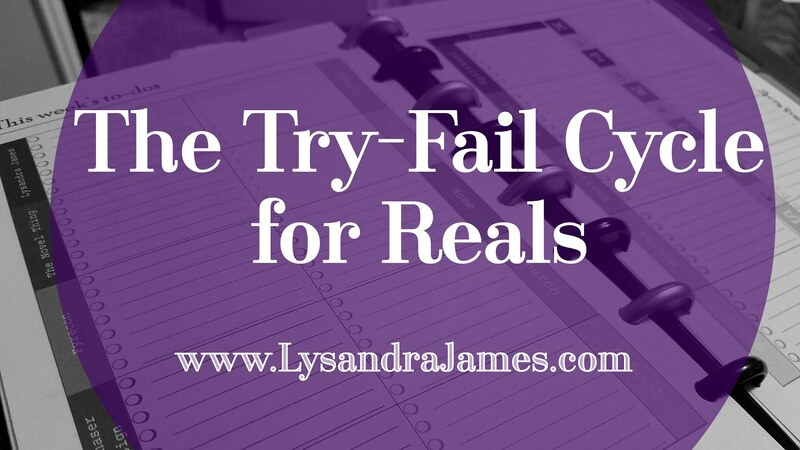 There's a term used in writing called the try-fail cycle. 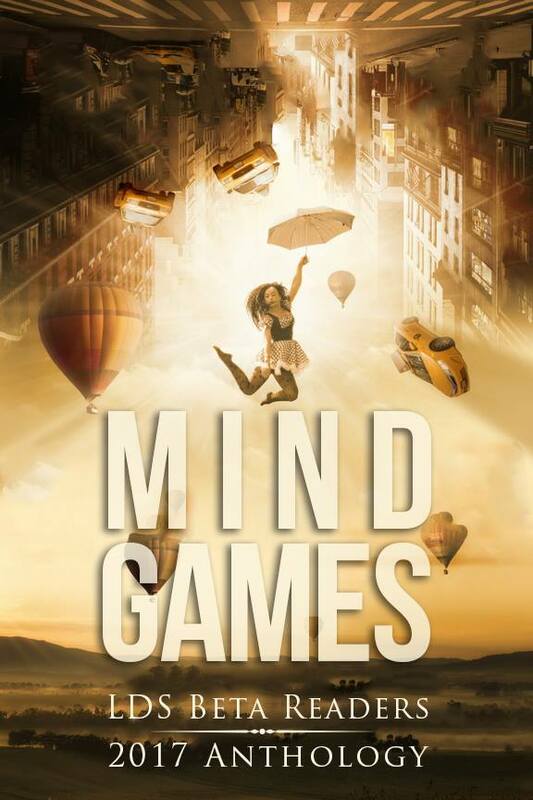 It's when the protagonist tries to solve a problem, fail, try again, fail again, and so on until the problem is finally resolved. With each try-fail cycle, the protagonist learns something that will help them in the final conflict. And not just mine, I'm sure. Do you remember a few weeks back when I posted my 100-day goals and how excited I was to do it and how I was already seeing results? In came the flu and halted my progress. Dead in its tracks. As in, nothing got done for weeks. BUT I did learn that by simply checking my planner every day, I'm much more productive. So I started that up again. I haven't been keeping track of how many days I've done it, but I'm getting a lot done and feel more in control over my time. I do plan on starting it up again soon. After all, there's so much more I want to be doing! They didn't work for what I needed, for the way I work. In fact, I got less done because I was more focused on transferring what I needed to do to each day than I was actually doing the tasks. Oops. BUT I did figure out that I'm a task-oriented person rather than a time-table person. So I was able to create an entirely new layout this last week that seems to be working extremely well for me so far. Categorized and color-coded and so very pretty. I can see what needs to be done for the week and how long each task will take me so I can plan accordingly. Plus, there's a section for appointments and events. It's so dang gorgeous, I could cry. I've gotten so much more done this week, too, despite a rainy day that lured me into binge reading instead of working and a migraine that beat me up pretty good for a few hours. Wahoo! A couple of months ago, Handyman Husband and I decided we wanted to get into hydroponics. We repurposed an old armoire into a hydroponic growing system, bought some seeds and supplies, and did exactly what one of the hundreds of websites we'd searched told us to do to start the seeds. Two weeks later, only one seed had sprouted. Several others looked like something fuzzy was growing. Just not what was supposed to grow. Then we remembered how a couple of years ago, we had successfully presprouted seeds using damp paper towels. I adjusted the method using egg cartons and a plastic shoebox, creating a windowsill greenhouse. THE VERY NEXT DAY we had seeds starting to sprout. No kidding! Within a week, almost all the seeds had sprouted and today, I have healthy toddler plants that are growing their big plant leaves. We were able to move them to the hydroponics system a couple of weeks ago. They're so stinkin' cute and totally talk baby talk to them because I love them so very much. These three examples are just a small glimpse into my try-fail life. Failure is normal. It's a very real part of life. It's how we learn, how we grow. "Our greatest weakness is in giving up. The most certain way to succeed is to try just one more time." Man, do I love that guy. So don't give up. Especially on your dreams. When you fail - and you will fail - pick yourself up, dust yourself off, and try again. Just once more. Because maybe this time, all those things you've learned from your failures will pay off and you'll finally succeed.